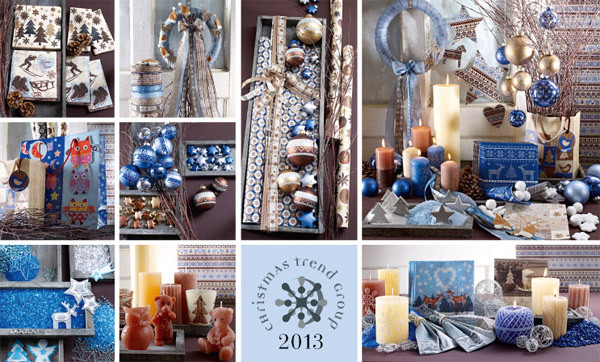 I love this Christmas trend – Winterwalk. I am a big snow fan and love the turquoise, silver and white colour scheme. It’s wonderful to bring the snowy landscape into your home. This is the opposite of the previous trend – Spicy & Orange radiates heat and comfort! 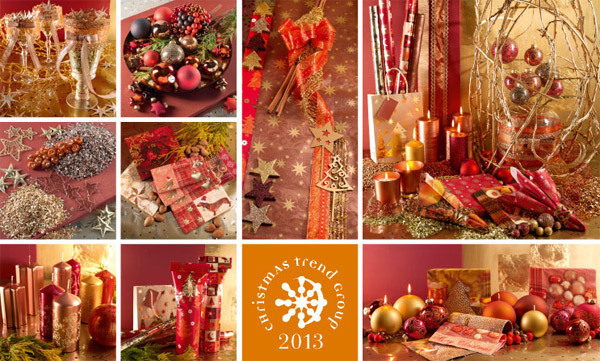 Orange, gold, copper, metallics – it will keep you warm this Christmas! 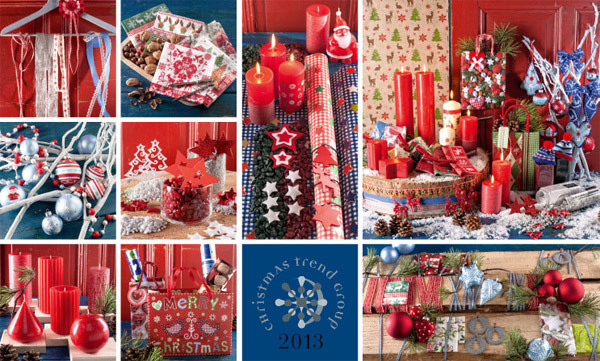 Traditional but fresh, Santa’s Home is cosy and comforting! Scottish tartans, checks, traditional red mixed with blue to bring it up to date. The enchanted woodlands of Fairytale Forest – nature-loving and full of warmth. 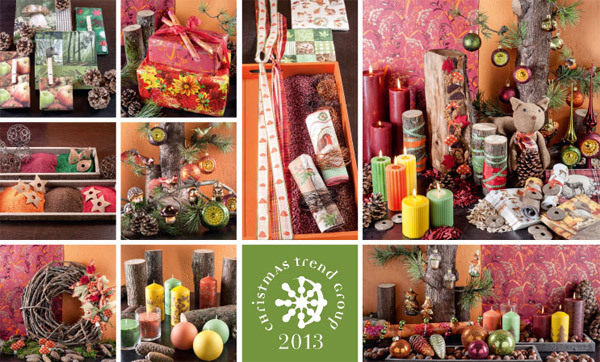 Lovely fresh accent colours of saffron yellow, rust and moss green bring the forest wood to life. Blue Chalet – snow and Scandanavia. The usual red Nordic Style is given a blue twist. I’m a big Nordic fan and love this trend too. Knitted patterns, traditional handicrafts and animals such as bears, owls and reindeer are motifs of this trend. These are all fantastic! Bookmarking this post for when I am actually feeling like getting my holiday work going. I am terrible about working on things like this in advance. It so does not feel like Christmas right now! Yeah I know what you mean. It’s hard to think of Christmas in the middle of Summer! I find it easy on rainy days when it gets dark and you need to put on a light in the middle of the day!